Four years ago, while visiting Taste of Chicago, I came across the Ricobene's booth. It was the year I was introduced to the breaded steak sandwich. I got a taste-size portion of their famous sandwich - which I didn't realize was so famous. It was my first time having a breaded steak sandwich and I guess you could say it was love at first bite. I looked for it again at the fest the following year. 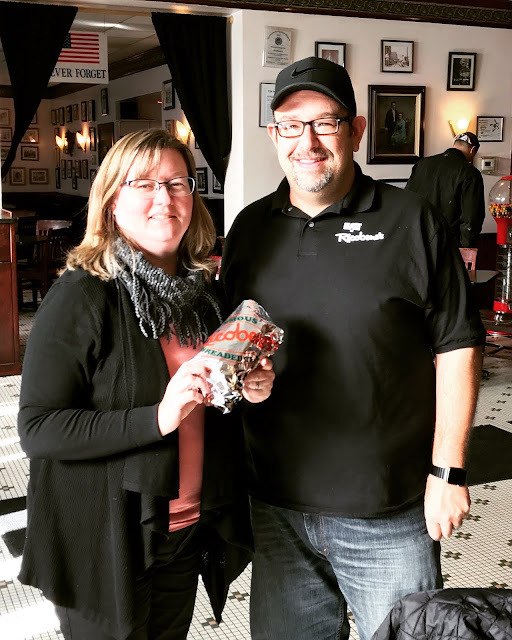 Chicago Foodie Sister Carrie with Sam Ricobene - third generation owner of the establishment. Fast forward to late 2017 and a video pops up in my Facebook feed about this sandwich and I'm intrigued and reminded about this delicious sandwich and instantly craving one. I figure it's time to enjoy another one and I'm not patient enough to wait until Taste of Chicago rolls around again. 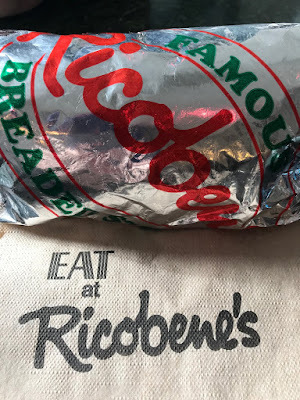 I look up the address and plan a foodie field trip day with hubby and make Ricobene's the first stop. It's on the south side near Chinatown with street parking available as well as a free lot across the street. We got there early - I think it was around 10:30 a.m. and the place was already bustling. A row of tables were pushed together with a group of police academy recruits chowing down. 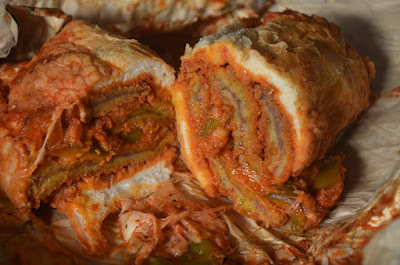 Others filed in and out ordering the casual Italian specialties that are all reasonably priced. I got to spend a few minutes chatting with Sam Ricobene, grandson of the restaurant's founder. The eatery dates back to 1946 and he said that it was in 1976 that they added breaded steak sandwich to the menu. It became a huge hit and has continued drawing in diners for decades. 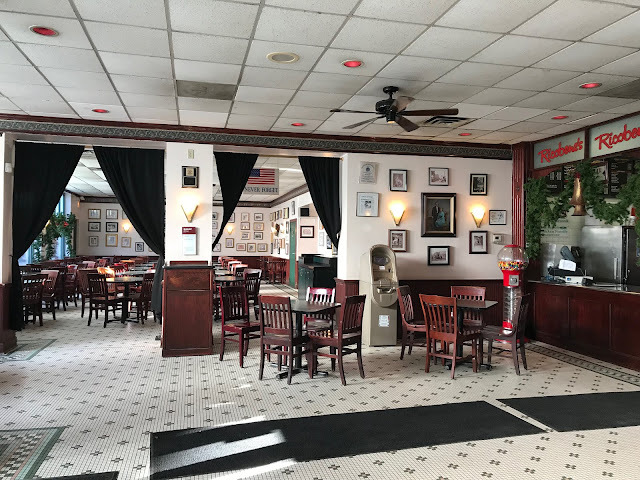 They've got an extensive menu of sandwiches - Italian beef, Italian sausage, beef/sausage combos, chicken breast, sloppy Joes, BBQ pork, eggplant parmesan, breaded perch, hot dogs, burgers and more. They also offer pizza in thin, pan and deep dish versions - I wish I'd had room to give some of the pizza a try because it looked amazing, but being stop #1 on our foodie field trip day, I knew I had to go easy. I'll have to save it for another day, but I suspect that once I make it in there, I'll cave and order a breaded steak. It would be too hard not to. The breaded steak sandwich - which is available in regular size and king - has made quite a name for itself and landed itself on "best of" lists compiled by various sources, but a USA Today article on 2015 spread the word of this fabulous sandwich beyond the boundaries of the Windy City when writer Ted Berg declared it "the best sandwich in the world." If you've been to Ricobene's, you know exactly what Berg is talking about and what I'm reiterating. 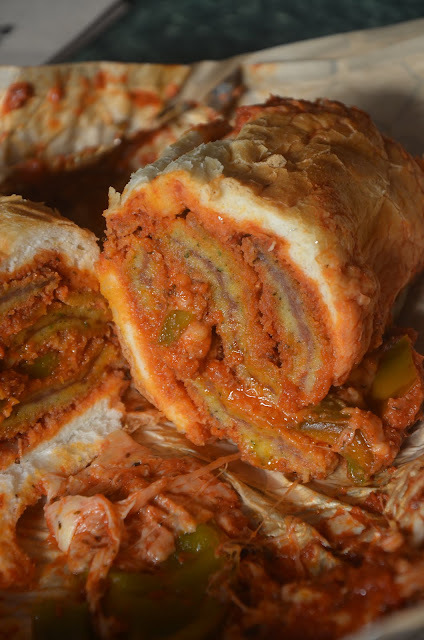 This is a sandwich that is life-changing. One that you won't be able to get out of your head or your taste buds once you've had one. And if, like me, you've enjoyed it at the Taste of Chicago, you still need to get in to the restaurant and have one. Sam Ricobene told me that the Taste of Chicago version is a little different - requiring an adapted preparation method when preparing it in such huge quantities for the huge food festival. So, if you've had it at the Taste, you still need to get a taste of the restaurant version. 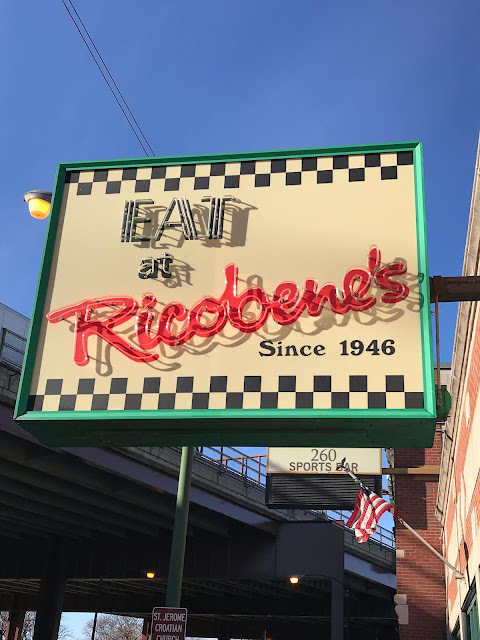 Ricobene's should be on the foodie bucket list of every Chicagoan. What are you waiting for? 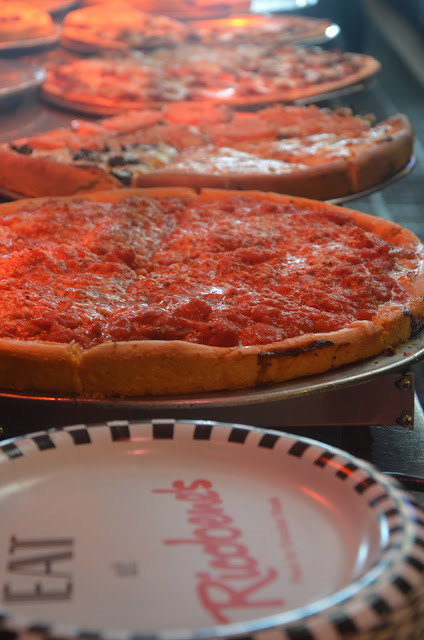 Get over there and get one - and tell them the Chicago Foodie Sisters sent you.